This week was even crazier than the last week. I just can't seem to catch a break. My companion's medical situation got a little worse, and he is in 15 days of rest now, and he can't leave the pension. Tuesday I was in a meeting with Presidente Perez, talking about the mission choir, and I told him about that situation, and then he kind of dropped a bomb on me. He said, Ok, this is what we're going to do.Tomorrow a mini-misionero is going to arrive, and he's going to be the new companion of Elder Ramirez. You're going to pack your things and move tomorrow, as I would like you to begin training tomorrow to be the new financiero for the mission (financial secretary). Wow. I was not expecting that at all. So I now live in the pension of the office missionaries with Elder Clayton (secretario), Elder Tello (historiador), Elder Llanos (bibliotecario), and Elder Thompson (financiero). Elder Thompson goes home August 9th, so we have about a month and half to do all of my training. Presidente wanted to start early, because in the end of August, someone from the church is going to come to do the yearly audit of the mission, so he wants to make sure that I am well prepared. 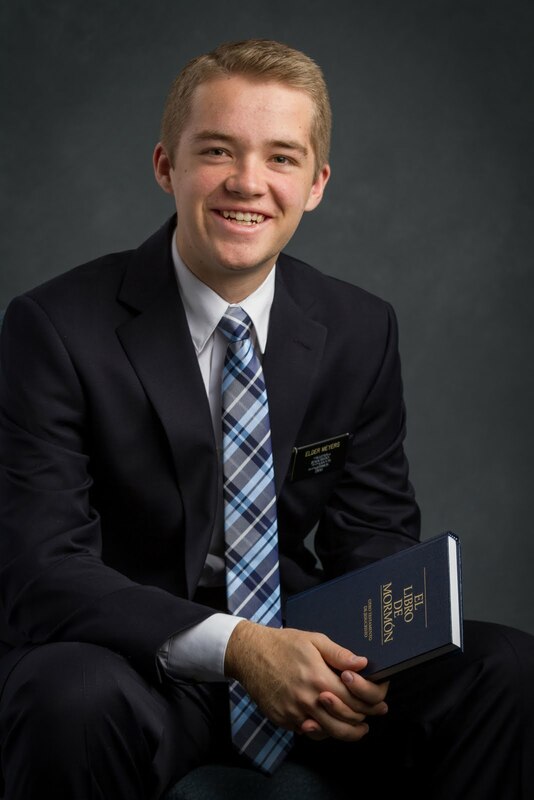 Elder Thompson and Elder Llanos are my new companions, and Elder Thompson is my trainer. We dove right in on Wednesday, as there have been a lot of things that haven't been done right since the start of the mission, and a lot of the proof of purchases and receipts are all mixed and messed up, so we're trying to go through and clean up the whole system. This will definitely be a different type of assignment, as I'll be here in the office every day, and we only get to go out and teach in the evenings, and sometimes if there's too much to do, we don't get the chance to go out. We're making goals, though, to try and change that so that we can maximize our proselyting time. The pension is great, it's definitely the biggest pension in the mission, because whenever missionaries come to Santa Fe they stay with us (we have around a dozen bunk beds). It's basically a house, as it has a garage, two stories, a kitchen, and eating area, 4 bedrooms and 4 bathrooms. We also have a washer and dryer since we have to wash a lot off bedsheets all the time, so that's nice. I won't have to hand wash my clothes for a while. Also, office missionaries are usually here for a while, because it takes a lot to get trained, so I will almost for sure be here until the end of the year. Luckily, we're still in the same ward, so I don't have to get to know a bunch of new members. I know this church is true, and I am so grateful for everything that the Lord has given me. I know He lives and loves us, and wants us to be just like Him, and that we only have to follow Him to do that. I love you all! Elder Ramirez with his mini-misionero, Alejo Quiroz and his amigo who is going to start listening to the missionaries!